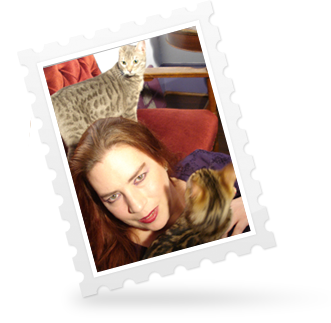 I haven't been blogging like I should, very naughty of me indeed, but things are moving kind of fast just now, and I do keep meaning to, so now that I have a night with NOTHING to do (except pack, and get ready for a Bout tomorrow) we'll give it a go! 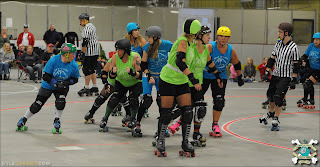 I skated in my first Bout last Saturday, which you may have heard about on FB and Twitter. What I didn't, couldn't, say there is how much that changes EVERYTHING. You learn more in one Bout than you do in any number of practices, tho I will say, you couldn't skate IN a Bout with out what you learn in practice. I could go on about the strategy of the game, but this isn't that sort of blog, it's going in another direction. 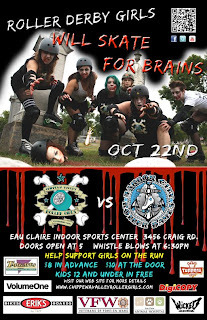 Which is this: I've got another Bout tomorrow, an away one. A road trip with my Derby Sisters. I'm going to do it again. And I'm going to do it BETTER this time. Because I am full on into this League and my team and I love it more than anything I've ever done. A year ago I was 260 pounds, couldn't make it up a flight of stairs without getting out of breath. I'm 48 years old, which is pretty much high end for this sport. But I'm doing it, I passed my skills test. I GOT THIS. I'm doing this. 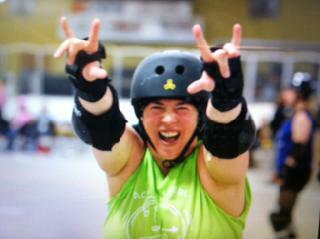 My asset to this team may not be as a Star Skater, or it may be, I don't really know how good I can get. We have some amazing girls on the team and coming up but I know I am taking this as far as I can take it, and I am really, really proud to be a part of a team that puts THAT as what is important. Because that IS what's important. No limits. Go do it. DO IT NOW! 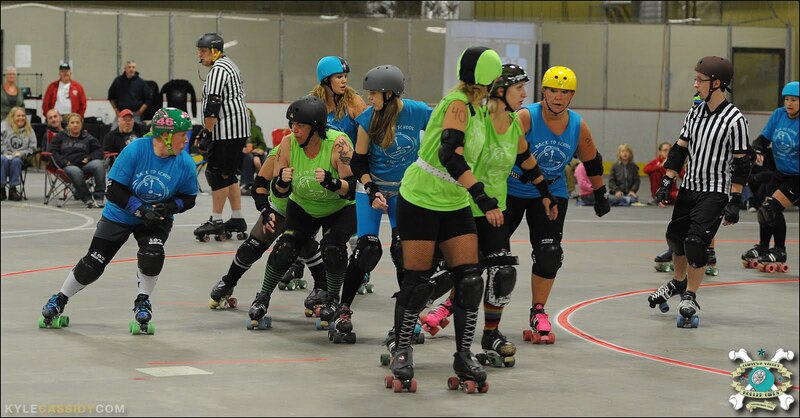 I love my Derby Sisters more than I've loved almost anything in my entire life. I would do anything for any of them, at any time, in part, because, every one of them believes in me, that I can do this. (the other part would be that they are the coolest damm women going) It's like the best band you've ever been in times ten. Like family without the irritating parts. YOU are the coolest thing going. Kid you not. You can do this. No limits. Do this now. Whatever it is. This just came out, an hour after I posted this. Do you believe me now? 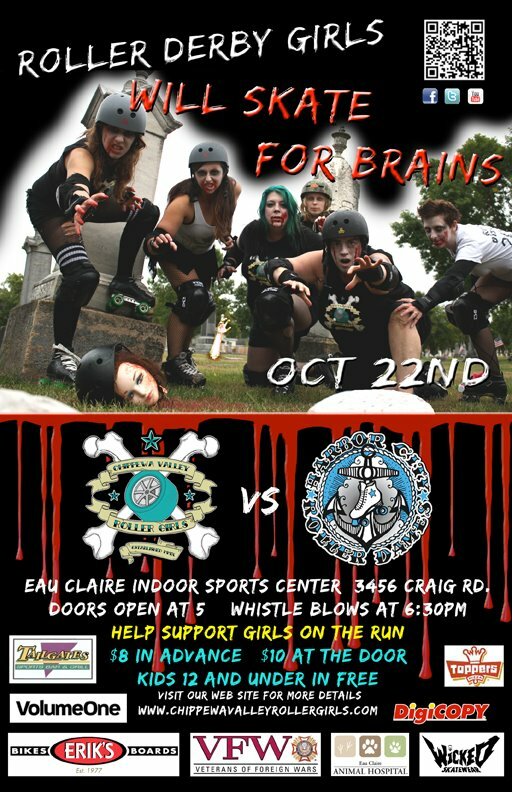 Yes, you too can be a Zombie on a Derby Poster! !